Members of the American Land Title Association® (ALTA®) have specific needs, unique to title insurance matters, when asked to insure title to land without exception as to the many matters which might be discoverable from survey and inspection, and which are not evidenced by the public records. This course discusses the standards associated with those surveys. For a survey of real property, and the plat, map or record of such survey, to be acceptable to a title insurance company for the purpose of insuring title to said real property free and clear of survey matters (except those matters disclosed by the survey and indicated on the plat or map), certain specific and pertinent information must be presented for the distinct and clear understanding between the insured, the client (if different from the insured), the title insurance company (insurer), the lender, and the surveyor professionally responsible for the survey. In order to meet such needs, clients, insurers, insureds, and lenders are entitled to rely on surveyors to conduct surveys and prepare associated plats or maps that are of a professional quality and appropriately uniform, complete, and accurate. 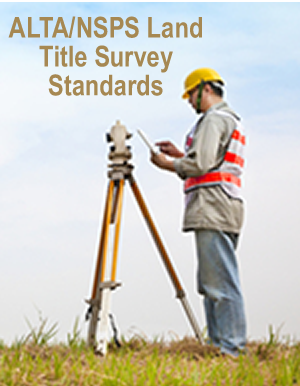 To that end, and in the interests of the general public, the surveying profession, title insurers, and abstracters, the ALTA and the NSPS jointly promulgate the within details and criteria setting forth a minimum standard of performance for ALTA/NSPS Land Title Surveys. Gary Kent is Director of Surveying at The Schneider Corporation, a 42-year-old consulting firm based in Indianapolis providing solutions in surveying, GIS, 3D graphics, architecture, and civil, municipal and transportation engineering. A past-president of both ACSM and the Indiana Society of Professional Land Surveyors, Gary has a BS degree in Land Surveying from Purdue University and is registered to practice surveying in Indiana and Michigan. He is chair of both the NSPS/ACSM committee and the ALTA committee on the ALTA/ACSM Standards. 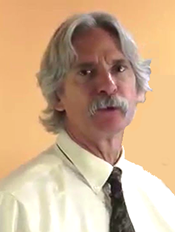 He currently sits on the Indiana State Board of Registration for Land Surveyors and is also a member of the adjunct faculty at the Purdue campus in Indianapolis where he teaches Land Survey Systems, Legal Descriptions, Boundary Law and Property Surveying. This entry was posted in Continuing Education and tagged ALTA, ALTA Best Practice, ALTA/NSPS, land title survey, learntitle, NJ title insurance, NSPS, title insurance, title insurance ce, title insurance continuing education. Bookmark the permalink.